Whether you’re driving through Mansfield, Attleboro, or Norton on your daily commute or are heading out of town on an adventure, you rely heavily on your brakes. With so much riding on your brakes, it’s important to keep them in tip-top shape. We, at Station Chrysler Jeep, are here to help you do that! 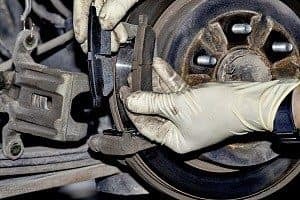 On this page, you’ll find more information about how we do brake repairs as well as why maintaining your brakes is so important. Let’s get started! Our brake repairs are performed the same way all our other services are, which is at the best possible quality. 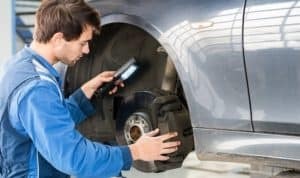 Service, to us, means using the best available tools to repair your brakes in a thorough and timely manner, so you can get back out on the road. In addition to our state-of-the-art equipment, our service center also has a team of mechanical experts. These professionals are trained to diagnose problems and execute the best possible solution, so you drive off the lot in a vehicle that’s almost like new. If you’re experiencing any of these problems, you’ll want to have your brakes checked as soon as possible. Additionally, take your dashboard lights seriously if they come on and have it checked out just to be sure. Ready for Your Brake Repair? We hope that after reading the information on this page, you’re feeling confident about your brakes. 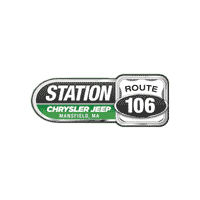 Drivers in Mansfield, Attleboro, and Norton can count on us at Station Chrysler Jeep for all your maintenance needs. Give us a call today to schedule a brake repair appointment or to learn about our many other services!